Today I’m talking about the Charlotte Tilbury Magic Foundation. If I were to tell you that there was such a thing as magic makeup, would you believe me? Ever since I tested out this foundation, I’ve been using it almost daily because it has such a great coverage, without being too heavy on my skin. Plus, I think they have quite a few colors available to choose from so there should be a color for everyone! When I first started using this foundation, I almost ordered the Magic Brush to go along with it, but I didn’t because the reviews were horrible! I’ve tested the Charlotte Tilbury Magic Foundation with several makeup brushes and sponges and even my own hands. My preferred method is a Beauty Blender. It gives an airbrushed look to the foundation, which is exactly what the brush is supposed to do. Plus, it’s just normally my preferred application method for foundations. At first, I didn’t really think I liked the foundation because I just didn’t know if it justified the price tag, but after wearing it several times, even my BFF asked me what foundation I was wearing and told me how good it looked. The more I used it, figured out the best way to apply it, I realize quickly that this might possibly be magic in a bottle! It requires little to no effort at all to get a flawless complexion and (for the most part) it lasts on the skin so nicely! My tips for the Charlotte Tilbury Magic Foundation are to NOT apply too much product. Start off with a small amount of product and buff it into well moisturized, hydrated skin. I’ve also been using a primer on my skin lately and a facial oil before applying my foundation. I start at the center of my face and buff the product out. I’ll let the results speak for themselves. The Charlotte Tilbury Magic Foundation really is a bit of magic. It covers up imperfections, creates an even canvas and really brightens up my complexion. I’m in shade 2 and I’ll probably have to go up a shade for Spring/Summer. 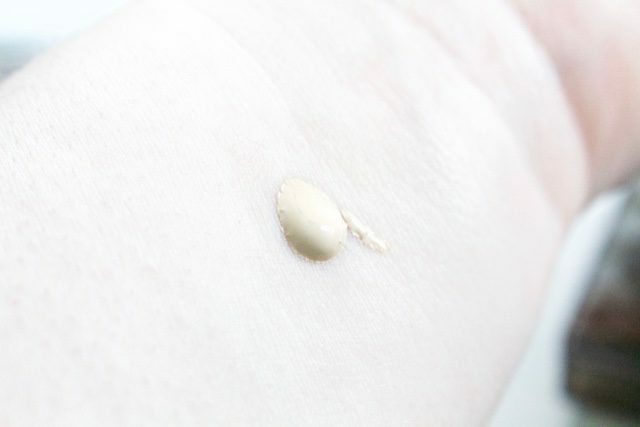 I like that this foundation is a demi-matte finish because it’s perfect for Summer when I don’t want a totally matte finish, but I also don’t want to feature something luminous on my skin as I’m sure I’ll be oily! Even though I read bad reviews of the Magic Brush, I still really want to give it a try! 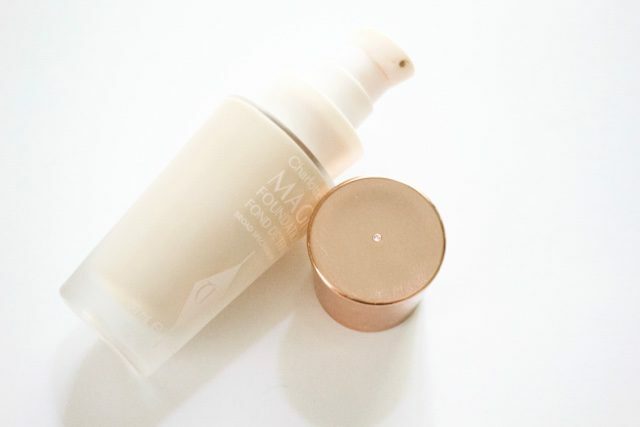 I’m curious to see if it helps make this magic foundation even more magical when applied?!? Have any of you used this brush? Thoughts?!? 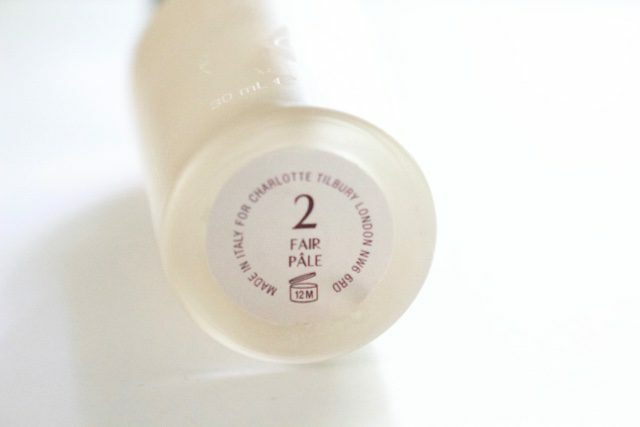 -2 Fair is a pink-beige for Very Fair Skin Tones with Cool Undertones which matches my skin pretty good, but it does contain some yellow in it so at first, I was like “OH WOW” but once I finished my makeup, it all looked perfect. Want to find your shade? Use their Foundation Finder! -This does a pretty good job of covering up my pores, but they aren’t totally gone! -You have to be careful to not apply too much of this foundation as I’ve found that it definitely transfers. If you have an oily skin type, be sure to set the product with a loose, translucent powder and I’ve been ok. 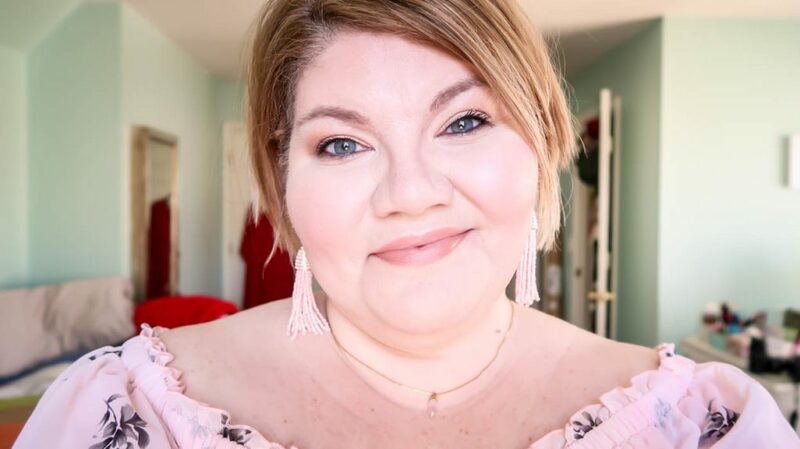 The Charlotte Tilbury Magic Foundation features a “hyper-intelligent” formula that offers a full coverage makeup look, but it doesn’t feel heavy at all on the skin! It does a pretty good job of lasting on my skin, as long as I set it with powder and I don’t use too much of the product. Do I think this is a Magic Foundation?!? To be honest I think it’s a lovely foundation that offers great coverage and looks gorgeous on the skin. I don’t think the price tag at $44.00 is bad at all, especially considering the amount of product you are using each time is so little. I’m actually surprised this isn’t priced higher and I can’t even believe I’m saying that, but compared to other foundations, this is a steal! Affiliate Links included. Products purchased by me. 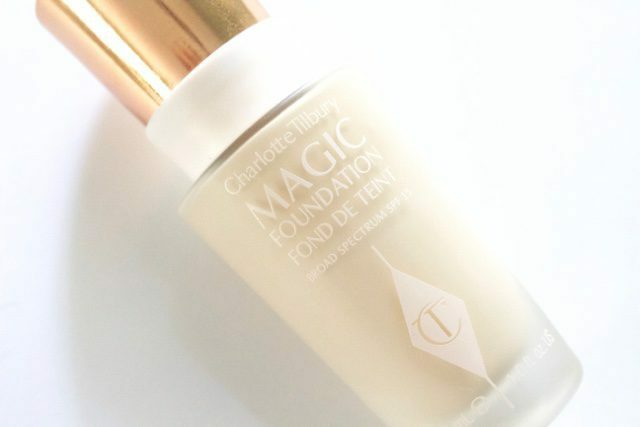 Is the Charlotte Tilbury Magic Foundation the key to Makeup Magic?!! Take a look at my before and after shots and you tell me! !